Website maintenance is for keeping your web site up-to-date with any recent content changes, for ensuring the reliability and speed of your site, and for the display of current data about your product and services. Without consistent and regular web site development management and maintenance, your web site becomes nothing but a static brochure. A simple website is easy to publish, but as your website grows, it becomes tougher to stay track of all the files. Don’t lie awake worrying about your site – let Texas Webmaster worry about it for you! 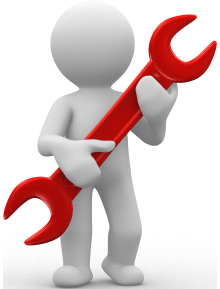 Once you have your web site, the next task is maintenance. In order to keep customers returning to your website, it has to be kept up-to-date with new and recent data. A web site ought never to stagnate. It should reflect the dynamic and growing nature of your business or organization. Remember, the web is live and interactive. New ideas and technologies are being developed that make the web an awfully exciting place. Texas Webmaster is committed to keeping pace with the latest technologies and software. We canprovide you with peace of mind and ensure that your web site stays both current and relevant. Whether you have an existing web site, or want to develop one with our help, we can assist you in creating the best for your web needs. Let Texas Webmaster manage your day-to-day web site maintenance and management tasks, and leave you to address more vital tasks, like running your business the way only you know how! 10 hours of website updates every month at a rate of $20.00 per hour. 15 hours of website updates every month at a rate of $20.00 per hour. 20 hours of website updates every month at a rate of $20.00 per hour. ??? hours of website updates every month at a rate of $20.00 per hour. Please note: The “custom package” is geared for those that needs a higher package than website maintenance package 3. Furthermore, all website maintenance packages is a monthly service and it requires a written contract between the client and Texas Webmaster, LLC.